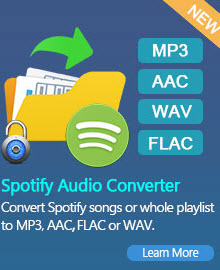 Any Video Converter is an ultra WMV Converter which can perfectly convert almost all popular video and audio formats such as AVI, MPEG, WMV, MOV, MP4, RM, RMVB, DivX, ASF, VOB, 3GP, FLV to WMV video format supported by Xbox 360, Zune (HD), and Microsoft Windows Mobiles including Dell Aixm 51, Dell Aixm 51V, HP iPAQ hw6500 series, HP iPAQ series, HP iPaq hx4700 series, Palm Treo series, HTC Touch Diamond, General Pocket PC, etc.. With Any DVD Converter, you can even convert DVDs to WMV, plus to all the functions that Any Video Converter has. Any Video Converter is also able to convert all supported formats to customized WMV videos fit to post on Internet and playback on nearly all WMV-supported devices, using WMV V8 or WMV V 9 codec. MP4 to WMV conversion is one of the enriched functions that Any Video Converter features. With Any Video Converter, it’s easy and fast to convert MP4 to WMV videos for Zune, Xbox 360 and other devices. WMV is the video file format developed by Microsoft, encapsulated in the Advanced Systems Format (ASF) container format. WMV was designed for Internet streaming applications. Microsoft applies WMV to its PlaysForSure-certified online stores and devices. Both Zune and Xbox 360 use WMV codec. WMV can also be played on Windows Media Player, Media Player Classic, RealPlayer, and PowerDVD. Raw MPEG-4 Visual bit streams are named .m4v. Both Any Video Converter and Any DVD Converter can convert M4V to WMV, AVI, FLV, MPEG-1, MPEG-2 and MP4. Raw MPEG-4 Visual bit streams are named .m4v. The common but non-standard use of the extensions .m4a and .m4v is due to the popularity of Apple’s iPod, the iTunes Store, and the Xbox 360. Zune can not play DRM WMV. And WMV license can not be restored in Windows Media Player 11, which is the media player for Vista. That’s because Windows Media DRM can be applied to WMV, thus making the WMV videos DRM-encrypted. 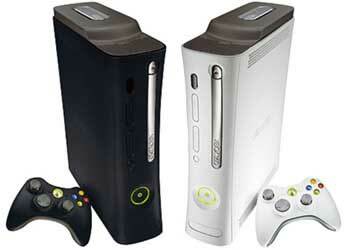 Xbox 360 is one of the devices that can play DRM WMV. With Any Video Converter, you can convert AVI to WMV for Zune and Xbox 360. Plus, you can convert AVI, MPG, FLV, WMV, ASF, MKV, VOB, MOV, RM and RMVB to FLV, MPEG-1, MPEG-2, MP4, WMV, and AVI. Besides common features that all WMV codes own, the new WMV 9 has its own particular features. The WMV 9 can support interlaced video, non-square pixels, and frame interpolation. WMV 9 also introduced a new profile titled Windows Media Video 9 Professional. Converting FLV to WMV is one of the abundant features of Any Video Converter. With this powerful video converter, you can convert FLV videos downloaded from YouTube to WMV videos for Zune. What’s more, Any Video Converter has a built-in YouTube Downloader that can automatically download and convert YouTube videos to the WMV you specify. Besides converting various types of video formats to WMV, Any Video Converter can also convert WMV to many video formats. It can convert WMV to MPEG-1, MPEG-2 and MPEG-4, FLV, AVI, 3GP, DVD videos, and MP3. 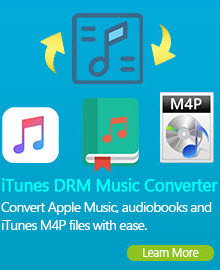 If you got iPod, PSP, iPhone, Apple TV and other devices that support MP4, you can use Any Video Converter to convert WMV to MP4 format. 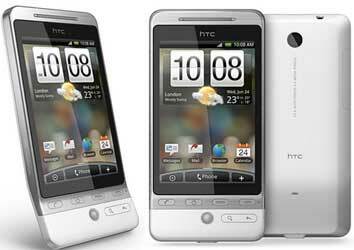 If you got mobile phones, probably you would like to convert WMV to AVI or 3GP videos. And Any Video Converter can do that. Windows Media Video (WMV) is a compressed video compression format for several proprietary codecs developed by Microsoft. The original video format, known as WMV, was originally designed for Internet streaming applications, as a competitor to RealVideo. The other formats, such as WMV Screen and WMV Image, cater for specialized content. Through standardization from the Society of Motion Picture and Television Engineers (SMPTE), WMV 9 has gained adoption for physical-delivery formats such as HD DVD and Blu-ray Disc. WMV files play best on Windows Media Player. Other Windows compatible media players that support the WMV format are DivX, Winamp, VLC (VideoLan Client), and Power DVD. Some of the other media players besides Windows Media Player, QuickTime and VLC Media Player that support WMV files are RealPlayer, Mplayer, Zoom Player, ALLPlayer, PowerDVD and Media Player Classic.